Mitsubishi Heavy Industries, Ltd. (MHI) and Japan Aerospace Exploration Agency (JAXA) have updated launch schedule of the H-IIB Launch Vehicle No. 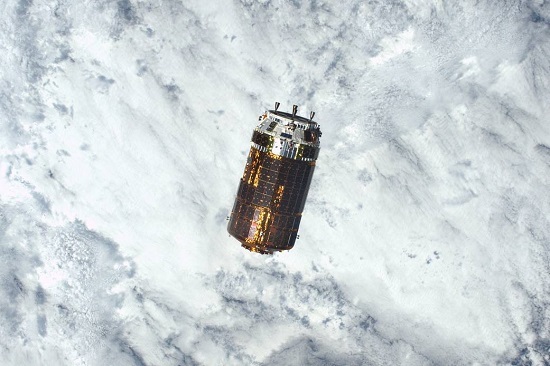 7(H-IIB F7) which carries aboard the H-II Transfer Vehicle “KOUNOTORI7” (HTV7), the cargo transporter to the International Space Station (ISS). Necessity arose to investigate the H-IIB F7 propulsion system, forcing MHI and JAXA to cancel the launch previously rescheduled for September 15, 2018. MHI and JAXA have taken the course of action necessary to identify and deal with the cause that the investigation revealed.